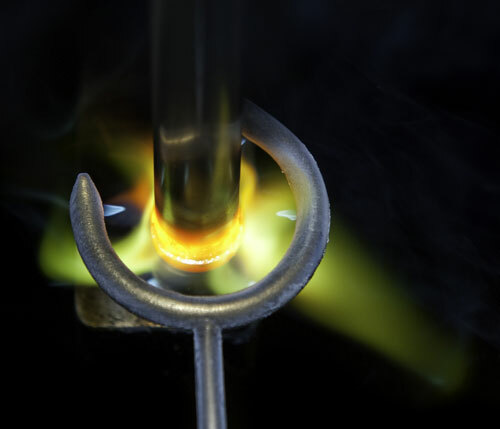 Universal Tube has over 30 years experience in furnace and torch brazing applications. We specialize in the brazing of stainless and carbon steel assemblies using copper, nickel, and silver alloys. Our in-house belt driven atmospheric controlled furnaces allow for brazing and bright annealing flexibility which provides shorter lead times. 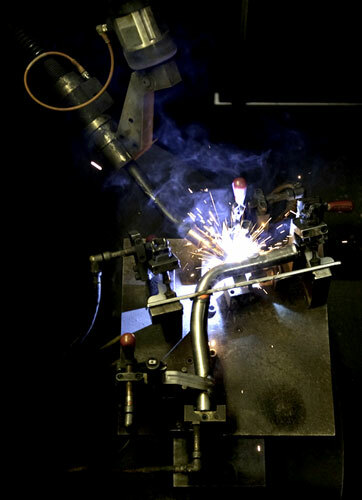 Shown above is a photo of a steel bracket being welded to a carbon steel tube in a robotic MIG welder. Our furnace capabilities include annealing and brazing all ferrous and non ferrous tubes and assemblies. Universal Tube also offers spot welding, torch brazing, and TIG welding using weld modules and fixtures custom designed for dedicated product lines. Our engineers will review your application and make recommendations on the joining method to best suit your needs with emphasis on reducing cost and lead times. 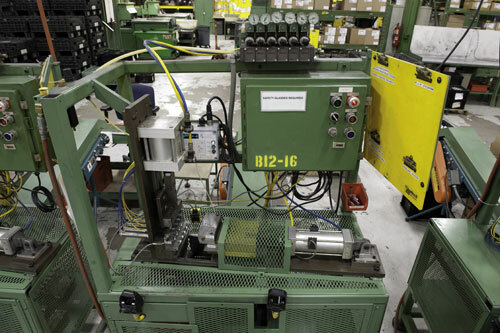 Our robotic weld systems provide outstanding quality, speed, and cost effectiveness for high volume tube welding applications. 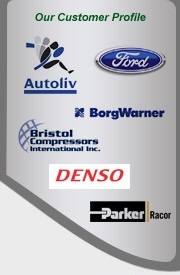 We validate our processes using pressure decay leak detection methods. Our systems are equipped with modern test equipment capable of meeting any customer requirement.